John Legend is encouraging those upset by the 2016 presidential election result to lean on their loved ones. 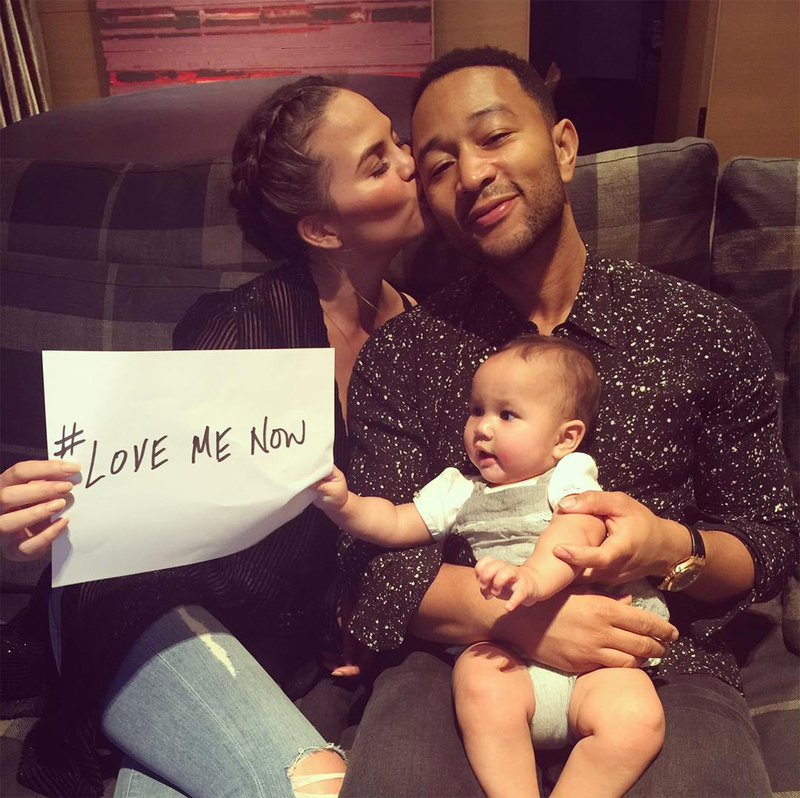 The “Love Me Now” singer shared a sweet family photo with wife Chrissy Teigen and their daughter, Luna, on Instagram on Wednesday, November 9, along with an emotional note about Hillary Clinton’s loss and controversial POTUS-elect Donald Trump. Legend went on to explain that he “didn’t think about the election” while planning the release of his new single, “Love Me Now,” but that “it’s clear that we all need more love” during this divisive time. The Grammy winner and Sports Illustrated swimsuit model have been vocal about their dislike for Trump. During his campaign, Teigen got into multiple Twitter spats with the former Apprentice host, and Legend tweeted that the businessman is flat-out “unfit” for the White House. Legend also campaigned for Clinton, performing in Ohio in support of the former secretary of state on Monday, November 7.